【Important Attention - Must Read Before Purchase】 SEVEN WALL ARTS is the brand owner and sole manufacturer who create exclusive design, produce and sell. We do not authorize any third party to sell our paintings. -- 4 Solutions to verify if what you received are authentic: 1). Be aware with the Seller ID. Only buy from Seller ID "Seven Wall Arts" & "7 Wall Arts-Global" will ensure the paintings what you received are authentic. Any seller ID different from above are unauthorized and selling fake copies in poor quality. 2). 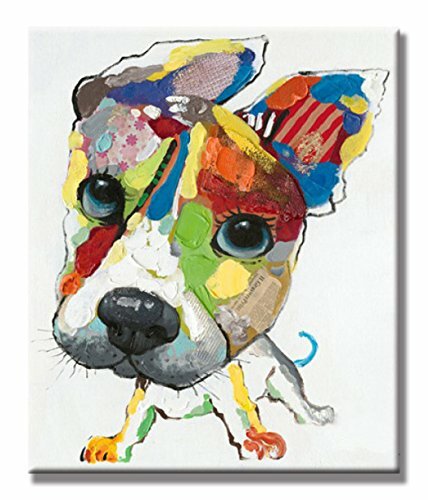 Shipment: 7 Wall Arts' price covered premium shipment cost either 7-11 days door to door service or swift deliver from Amazon warehouse. Shipment takes over 2 weeks are definitely fake copies and shall ask for return and open A to Z and claim the seller. 3). Packing:7 Wall Arts are ship with a permanent quality standard: stretched, ready to hang, with logo carton packing. If you receive canvas only, packing bubble wrap, or blank carton is definitely fake. 4) . Free Return & 100% Satisfaction Guarantee For every piece of painting sold we had sales record that could source if it is authentic. 7 Wall Arts offer free return and 100% Satisfaction Guarantee for our customer. We are sorry to say for those who buy from different seller ID will not be protected by our satisfaction policy. A perfect Valentine's Day ,Christmas and New Year gifts for your relatives and friends，and good ideal for living room, bedroom, kitchen, office, Hotel, dining room, office, bar décor etc.